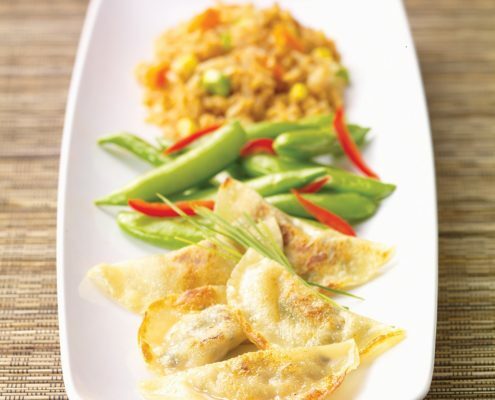 A pot sticker is a Chinese dumpling, just combine ingredients, fill wonton and sauté and serve with your favorite Asian dipping sauce. 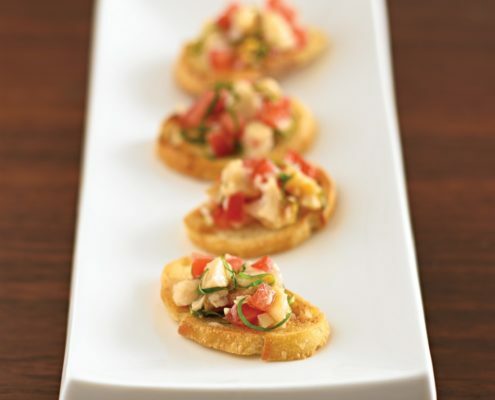 Bruschetta, a traditional Italian appetizer, has many different variations. For this one we combined chopped clams, tomatoes, garlic and basil. Our canned chopped clams can be substituted for the IQF Clams, just drain them and reduce your cooking time. 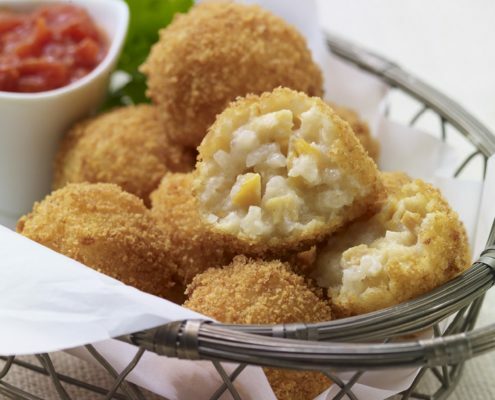 Arancini’s originated in Sicily in the 10th century. For this recipe, we combined clams, rice and Parmesan Cheese, then roll them in seasoned panko breadcrumbs. They can be fried or baked for a healthier version. Naked Steamers are as fun to eat as it is to say. Sea Watch Whole Ocean Clams are carefully cooked with the belly removed. Just add some butter and spices and you will feel your feet in the sand. 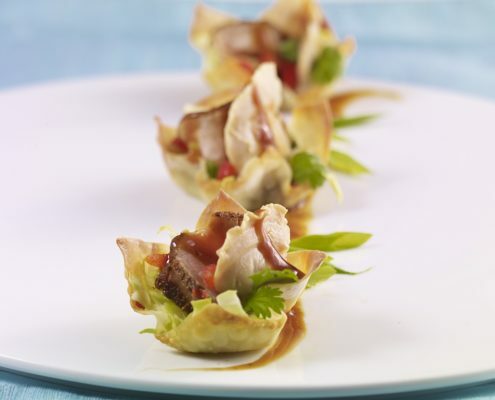 Marinade Clam and Pork Wonton Tacos is an example of the new culinary rage of pairing contrasting proteins with each other. This recipe is loaded with tons of spices, flavors and textures to compliment both bold proteins. 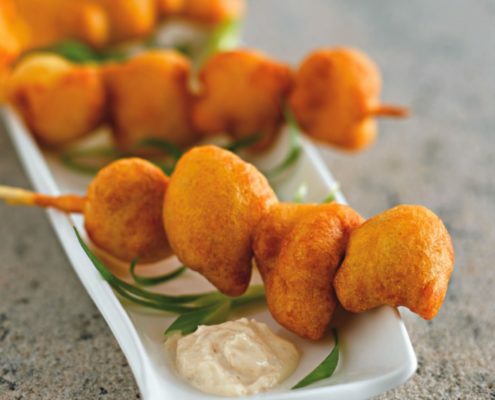 For this recipe, we put a twist on our traditional clam fritter recipe by using our whole ocean clams instead of chopped clams. 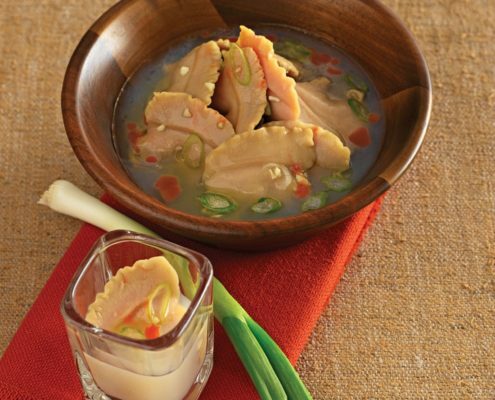 For this recipe, we serve them with a wasabi ginger mayo dipping sauce, but you can always serve them with your signature sauce.